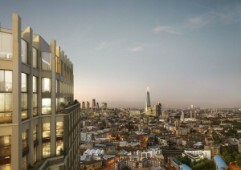 Find a new house in London, browse real estate listings and property for sale in London, including flats and homes in top areas for investment and lifestyle. 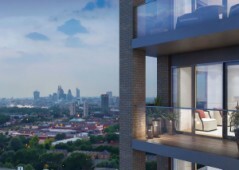 One of the most sought after developments in North London, this newly launched project offers a range of apartments and houses and is within walking distance to Mill Hill East Underground for commuting to the city centre. 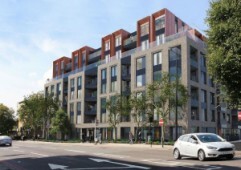 Featuring a range of on-site facilities including a large daily supermarket providing you with everything you could possibly need, these London apartments are located in Zone 4 and are within walking distance to the nearest station for commuting. This is a superb opportunity to invest in the heart of London just minutes away from Canary Wharf and within a short walk to the nearest train station for moving and commuting around the city – this is a must see. 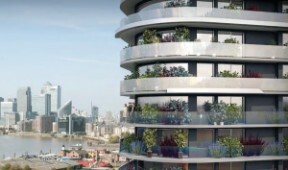 Just one minute walking distance away from the nearest Underground Station, these Vauxhall properties are ripe for investment today and have access to an abundance of on-site facilities including a modern gym and gardens. 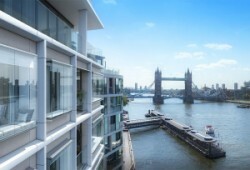 Excellent properties currently in off plan stage yet nearing completion – these luxury apartments are on the edge of the River Thames in London and are available in sizes ranging from one – three bedrooms. 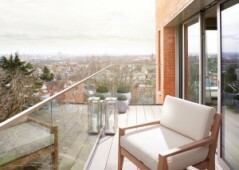 Brand new properties with excellent social and communal facilities including access to a 20 metre swimming pool, a relaxing spa, and even a gym – this is one of the top developments that you will find in central London today. Perfect entry level investment opportunity in the UK, these high quality serviced office suites have 8% net guaranteed income available for 10 years and are low risk, right in the heart of London minutes away from Liverpool Street. 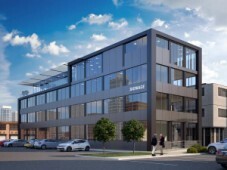 Benefitting from a wide range of on-site social and family friendly facilities, this exciting project is located in Harrow and is a superb opportunity for investors, just minutes away from public transport and all kinds of amenities. 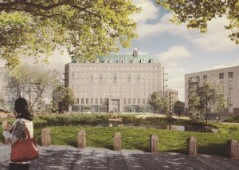 This project is listed today at bargain prices for keen investors looking to purchase before planned increases – this development is located on the famous former football ground of West Ham United. 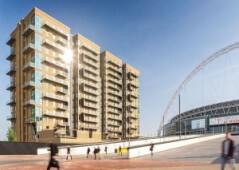 Just minutes away from Wembley Stadium and Underground station, these beautiful apartments are spacious and have been designed with a family friendly living environment in mind – contact us today for more information. 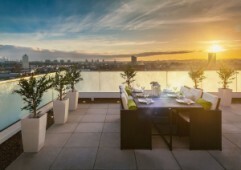 With fantastic views across the skyline of London and beyond, these exceptional flats are a must see for anyone looking for a wonderful location within minutes to public transport taking you towards the centre within 20 minutes. 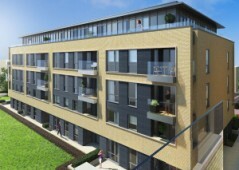 Whether you are a small family or a large family, this Putney development offers properties ranging from two – four bedrooms in size and enjoys a Zone 3 location with easy travel links throughout the city.